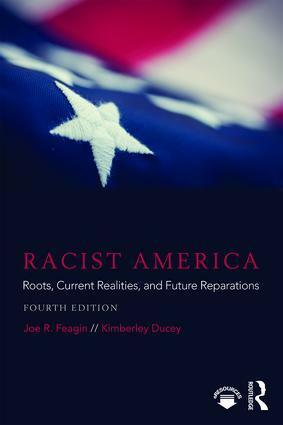 This fourth edition of Racist America is significantly revised and updated, with an eye toward racism issues arising regularly in our contemporary era. This edition incorporates many recent research studies and reports on U.S. racial issues that update and enhance the last edition’s chapters. It expands the discussion and data on social science concepts such as intersectionality and gendered racism, as well as the concepts of the white racial frame, systemic racism, and the elite-white-male dominance system from research studies by Joe Feagin and his colleagues. The authors have further polished the book and added more examples, anecdotes, and narratives about contemporary racism to make it yet more readable for undergraduates. Student objectives, summaries, key terms, and study questions are available under the e-Resources tab at www.routledge.com/9781138096042.